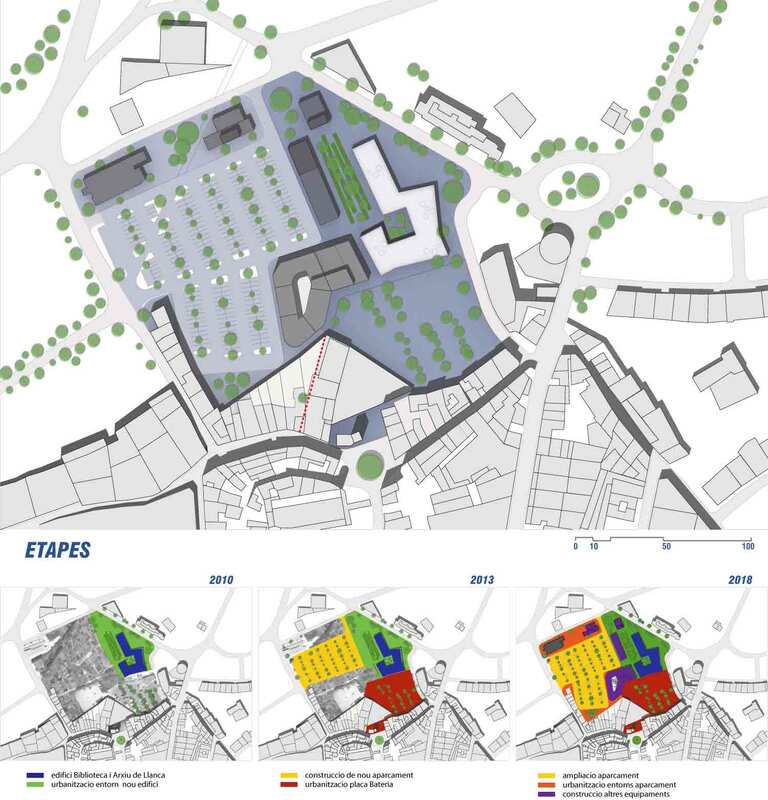 The proposed building meets three objectives: to define Bateria square, to set a strong and noble facade to the road and to generate a new façade to the inner urban fabric. We propose the construction of a great wall that folds in on itself and gives shelter to the spaces it encloses. This outer wall generates a series of small events around it: a facade to the north, a number of recessed public areas along the road, an interior courtyard and a facade to the west. The building façade to the village is defined through glazing and solar control elements. This inner facade is set up to be the most emblematic aspect of the building. The interior of the building is organized in a linear fashion. However the folds of this continuous line enable the generation of an atrium - a double height space that gives visibility to this iconic building. After walking the small streets of the village and crossing the outer thick wall, the visitor then accesses this central point at the heart of the building. 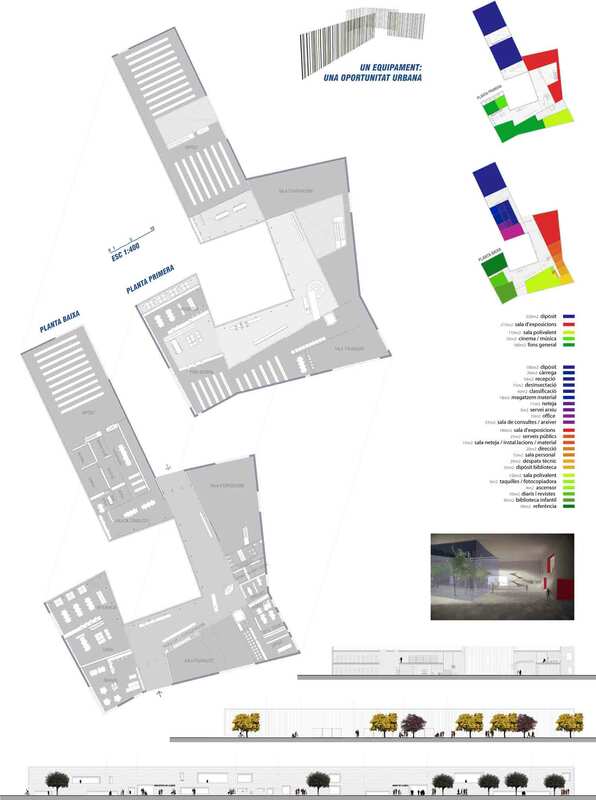 The atrium is intended to centralize and communicate the main uses of the center: library, multi-purpose space, exhibition hall, management and administration offices, and archive.